PUNTA GORDA, FL. 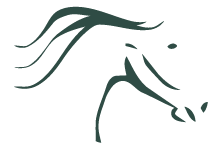 (Thursday, March 9, 2017) – SOUTH WEST FLORIDA HORSE RESCUE, INC. (SWFHR) today, ties with Loomis Thunder Valley out of Woodword, OK, for the April 2017 rescue of the month hosted by the Texas Hay Net company on their Facebook Page*. Both winning organizations will receive a Texas Hay Net – round bale hay net. The efforts of organizations, such as Texas Hay Net, to raise visibility of institutions such as SWFHR a highly commendable action followed by a high quality product as a donation. We at SWFHR can’t seem to thank our supporters enough as well as Texas Hay Net for their generosity. About Texas Haynet, LLC. : Texas Haynet manufactures slow feed hay nets. Available in round bale, square bale, and small hanging sizes. For more information visit www.texashaynet.com. About South West Florida Horse Rescue, Inc: Committed to saving the lives of southwest Florida’s local community’s equines through a host of primary programs such as our: Rescue, Adoption, & Education Programs. Our secondary programs include our Volunteer & Community Give Back Programs also to be introduced include, our Equine Owner Assistance Programs which will be offered as funds permit. Find out more at www.swfhr.org.